Gardening is a pleasing pastime and filling your garden with plants you started yourself from seeds simply doubles the pleasure. If you think that growing from seed is difficult and takes too much time and equipment, the steps and tips taught in this class will dismiss those concerns. One of the main reasons for starting seeds indoors in North Central Texas is to extend the growing season for favorite tomato and pepper varieties. The growing season is too short to be able to plant these seeds in the ground after the last frost in mid-March. By starting seeds indoors in late January, gardeners can place these transplants in the warm soil during spring weather. 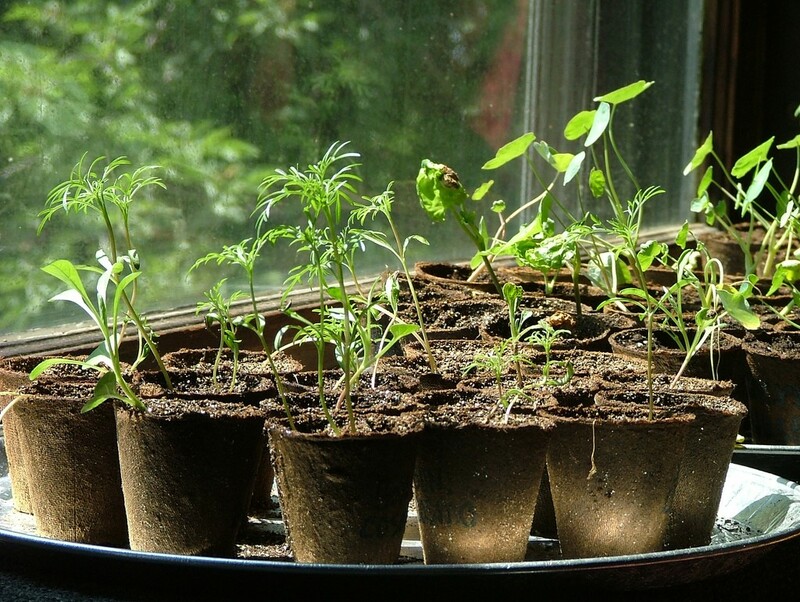 Another reason for starting your own seeds indoors is that you will be able to grow favorite varieties that you cannot find in the nurseries when the vegetable transplants are sold in the spring. The 2017 gardening class series has started and the different sessions have proven to be very popular. Janie Squier, certified Rockwall County Master Gardener, will share her expertise on Back to Basics: How to Start Seeds Indoors. Class participants will learn the step by step basics for successful starting of transplants from seeds in your home. A demonstration will also be presented on the materials needed and options for providing light, moisture, and nutrients so that your seedlings will emerge. This will be a hands-on class and each participant will leave with a seed starting kit planted with a choice of peppers or tomatoes. Sign up now for this class scheduled for Saturday, January 28, 2017 at the Rockwall County Extension Office located at 915 E. Whitmore Street, Suite B. The class will be held from 1:00 until 3:00 p.m. and the registration fee is $15.00. Pre-registration is required and is limited to 20 participants. A minimum number of participants must be paid and pre-registered by 5:00 p.m. Wednesday, January 25. The class will be cancelled and money refunded if not enough participants have paid and pre-registered. NOTE: Due to the limited space, please do not bring children to the class. Arrange for childcare prior to registering.